I’ve always been an admirer of Nicolas Jaar’s technical and creative talent, but I’ll admit I never really enthused over his music beyond songs like Mi Mujer and Encore. This album has unquestionably changed my stance. 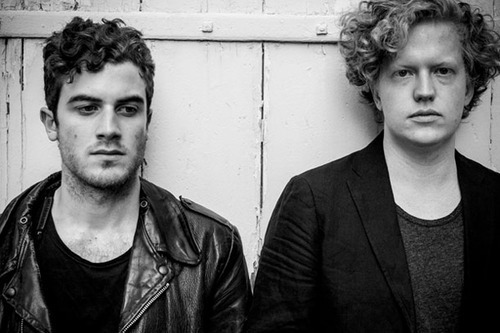 Working with guitarist Dave Harrington, Jaar has created an album that is as re-playable as it is strikingly beautiful. ‘Golden Arrow’ slowly introduces the album with the sound of organs and murmuring synth, before the beat finally drops to introduce the bluesy muted guitar riff, falsetto of Harrington and wandering synth lines, setting the delicate dreamy precedent for the rest of the album. The cosmic whirring and meandering beats create a solemn atmosphere as you’re forced to slide along with the album’s hypnotic lethargy. In songs like ‘Golden Arrow’, ‘Freak Go Home’ and ‘Heart’, the drifting sound is breached by explosions into thumping layerings of screaming funk riffage, heavy tribal percussion and breathy falsettoed echoes. Psychic is so dense that it might take a few listens to truly explore and appreciate its complex, evolving sound – but it’s well worth properly immersing yourself in it. Jaar and Harrington have quickly managed to mature a sound that eloquently combines the most modern of music technologies with more classical instrumentation. After having this superb sprawling album on repeat all day now, I think it’s time for me to go back and get reacquainted with Jaar’s solo work.